From August 21-24, the 2016 BC Summer Games were held in Abbotsford. Royal City athletes Shea Janke, JV Patry-Smith, Max Jones, Jeremy Belcher, Ryan Jensen and Gavin Fan all qualified for the games in the very competitive Zone 4 region. Hot off his outstanding pole vault performance at the BC Athletics Championship Jamboree, Max’s opening height was after all other competitors were already out of the competition. He won gold with a jump of 3.20m. JV, feeling the high of just having been named to Team BC, took gold in javelin with a season’s best throw of 39.44m. She also took home a bronze in shot put with a performance of 11.67m. JV also competed in the hammer throw. Sprinter, and new comer, Gavin, raced his way to a bronze medal in the 300m with a time of 38.12s. He also competed in 200m and 4×400 relay team with fellow Royal City athlete, Shea. The relay team finished just out of the medals in 4th spot. Shea also competed in the 2000m and 1500m steeplechase. Jeremy jumped to a new PB with a performance of 11.08m in the triple jump and also competed in the 200m hurdles. It was hurdles all the way for Ryan, putting in a solid performance in both the 100m and 200m hurdles. 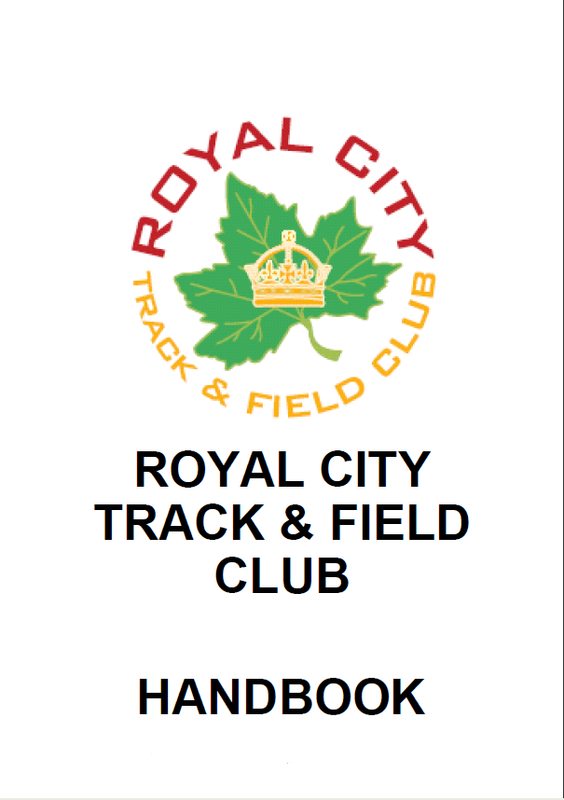 Three Royal City athletes were recently named to Team BC to compete at the Legion National Youth Track and Field Championships to be held in Ste. Therese, Quebec, from August 5-7, 2016. Grace Fetherstonhaugh was named to the team for her season dominating 2000m steeple chase performance and having won the event at the BC Athletics Championship Jamboree in Nanaimo. Max Jones surprised everyone with leaping over 3.40m in pole vault at the championship meet and taking the gold medal, thus securing a position on the team as well. 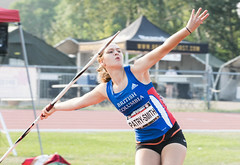 Finally, despite having not finished first at the championship meet, JV Patry-Smith was named to the team for her national level performance in javelin during the season. In order to be named to the team, athletes at a minimum must meet a performance standard that gives them a realistic chance at a medal at the National championship meet. Brianna Bates, Lauryn Savela, and Ryan Jensen from Royal City will also travel to Quebec for the National meet having met the meet standard in youth and midget javelin and midget hurdles respectively. 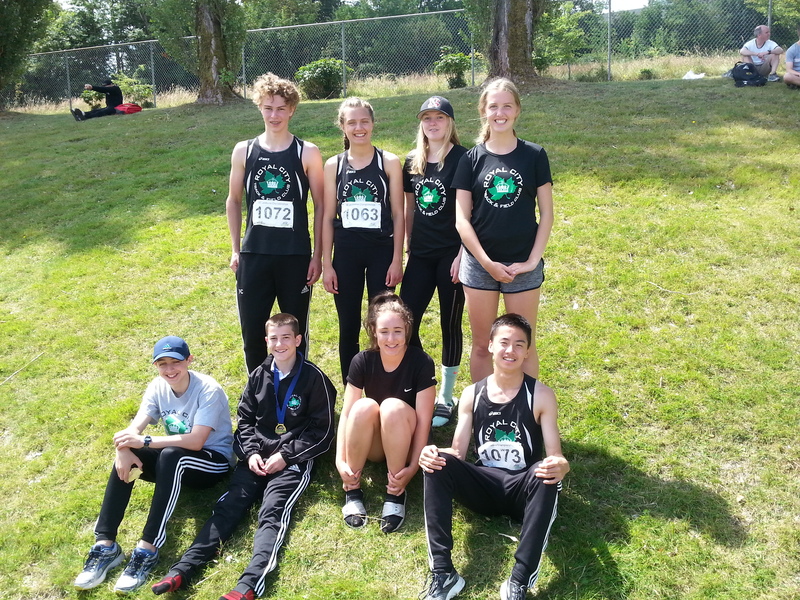 Congratulations to all RCTFC Midget and Youth athletes who competed at the BC Athletics Provincial Jamboree in Nanaimo July 15-17! Brianna Bates, Emma Celle, Emma Dolman, Elizabeth Bowles, Emily Chilton, Grace Fetherstonhaugh, Devin Strome, Gavin Fan, Joelle Pinvidic, Jenevieve Patry-Smith, Ashlynne Stairs, Evan Smith, Finnley Cookson, Shea Janke, Jeremy Belcher, Maxwell Jones, Lauren Vanee and Ryan Jensen are all to be recognized for their finale season performances at the Provincial Meet. Highlights from the meet included: Youth Grace Fetherstonhaugh’s trio of Gold medal wins in the 2000m steeplechase, 1500m and 3000m on the track; Midget Jenevieve Patry-Smith’s trio of Bronze Medals in shot put, discus and javelin; Youth Brianna Bates’ Silver Medal in javelin; Midget Maxwell Jones’ Gold medal in pole vault; Youth Finnley Cookson’s Bronze medal in pole vault; Midget Gavin Fan’s Bronze in 200m; Midget Jeremy Belcher’s Silver medal in triple jump; and Youth Evan Smith’s Bronze in javelin. Fetherstonhaugh, Jones, and Patry-Smith are also to be congratulated on meeting Team BC qualification standards in 2000m steeplechase, pole vault, and javelin, respectively.